Unseen University are proud to present the most comprehensive map and guide to the Disc yet produced. In this noble endeavour, drawing upon the hard won knowledge of many great and, inevitably, late explorers, one may locate on a detailed plan of our world such fabled realms as the Condiment Isles, trace the course of the River Kneck as it deposits silt and border disputes in equal abundance on the lands either side, and contemplate the vast deserts of Klatch and Howondaland - a salutary lesson in the perils of allowing ones goats to graze unchecked. This stunning work brings to life the lands and locations of the Discworld stories in a way never seen before. 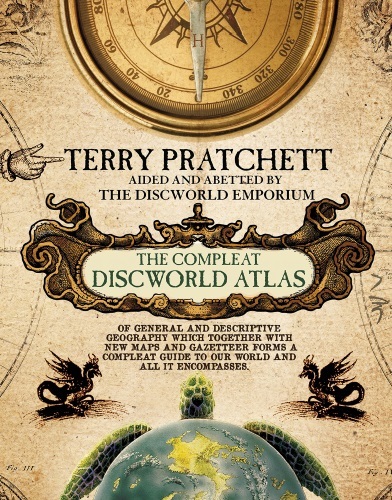 Accompanied by lavish full-colour illustrations and a detailed world map, this is a must-have for any Discworld fan.